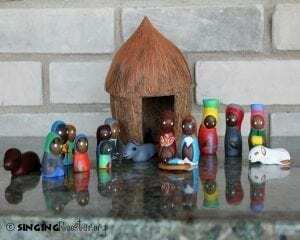 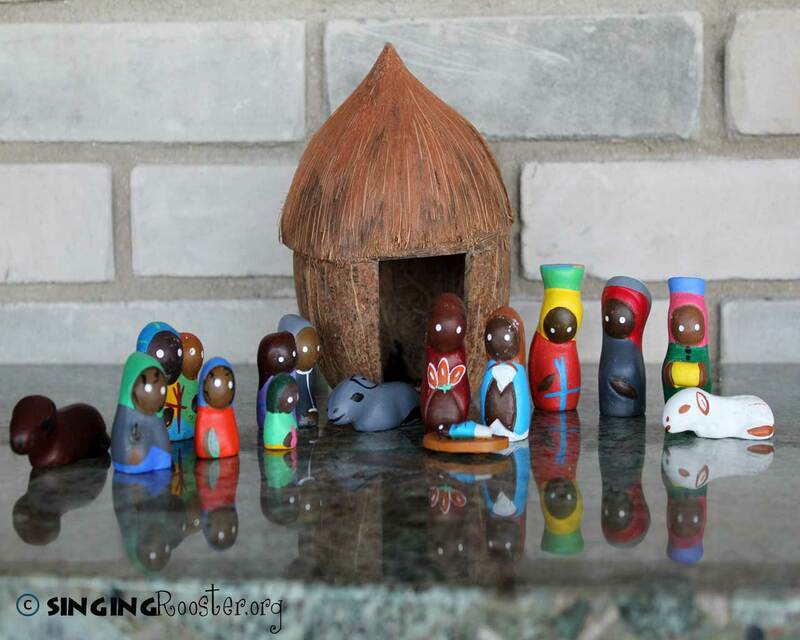 Handmade coconut nativity from Haiti — beautiful manger scene complete with real coconut stable. 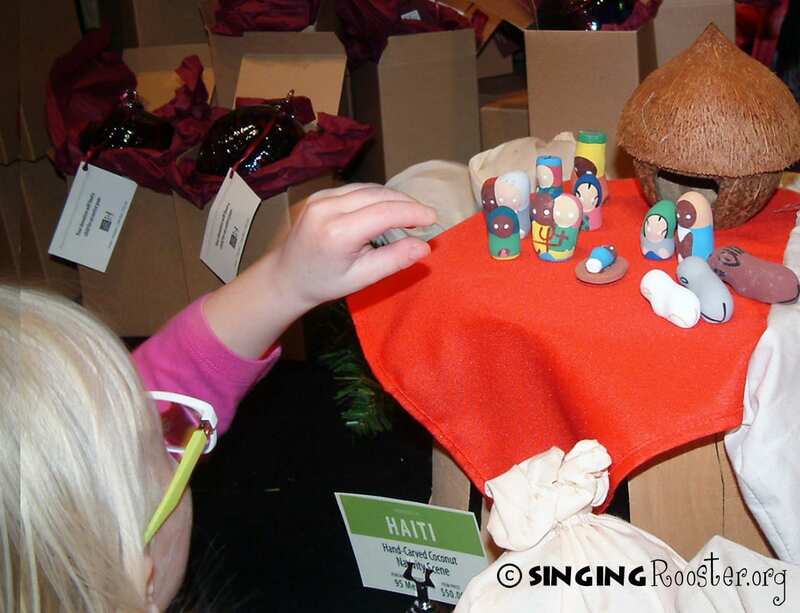 Hand-molded & painted clay figurines: Mary, Joseph, baby Jesus, the wise men and shepherds with sheep, donkey, cow. 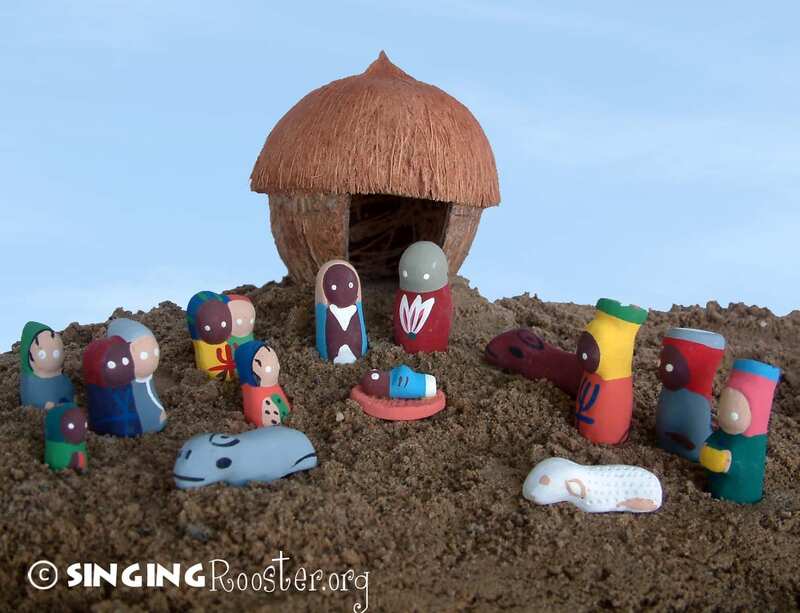 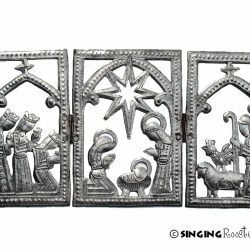 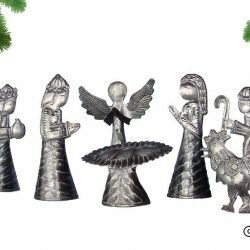 Perfect gift for the Christmas nativity collector!